I spotted this book a lot in my goodreads and Facebook feeds so I decided to buy it! It arrived last week so I moved into it once I finished Half Bad! As you know, I start new books at night as bedtime is my uninterrupted reading time! I didn’t want to stop reading this once I started! I think I got up to page 80 before I decided I needed some sleep! It’s a pacy, well written and enjoyable read. The detail as regards murders can be quite graphic but I’m well used to it as my book choices are usually twisted enough at the best of times! “He lives on your street, in a nice house with a tidy garden. He shops at your local supermarket. He drives beside you, waving to let you into the lane ahead of him. He also has an elaborate cage in a secret basement under his garage. The food he’s carefully shopping for is to feed a young woman he’s holding there against her will – one in a string of many, unaware of the fate that awaits her. I really enjoyed this book, and towards the end I found myself racking my brain to see what could happen! I even found myself rooting for him at a few different points! 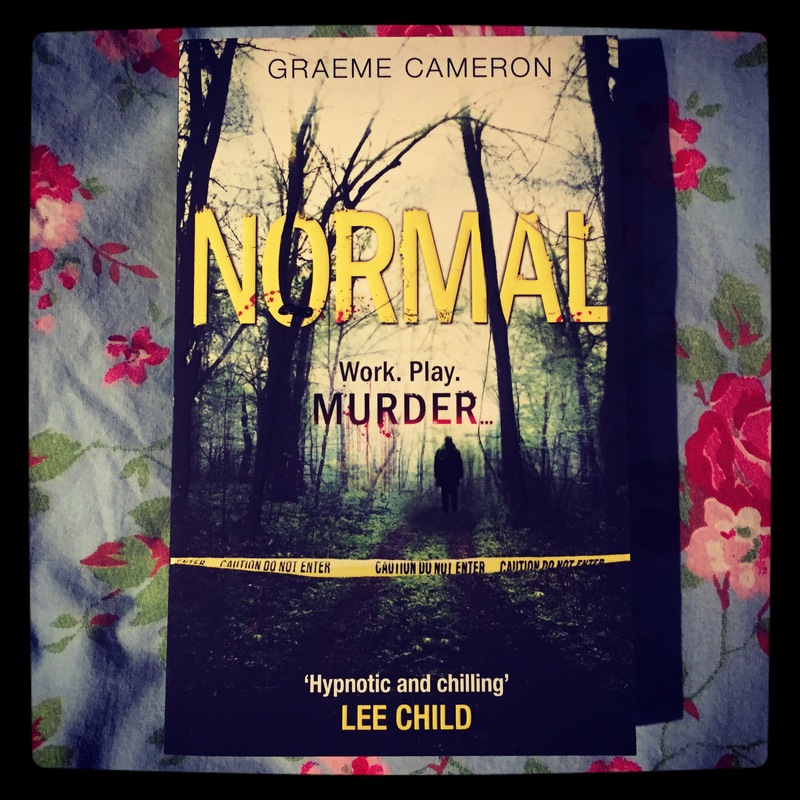 I gave Normal 4* on Goodreads! I would highly recommend it!